Preparing our kids and students for a global knowledge economy necessitates a new teaching approach; one that will equip them with the skills and competencies needed to thrive in such an economy. It is widely believed that pedagogy as an educational method per see is no longer enough; teachers and educators need to embrace new methodologies that are more relevant to the exigencies of today's learning. 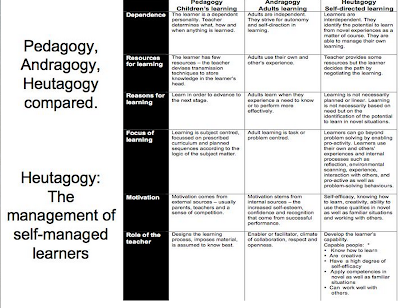 Andragogy and Heutagogy are probably the answer. 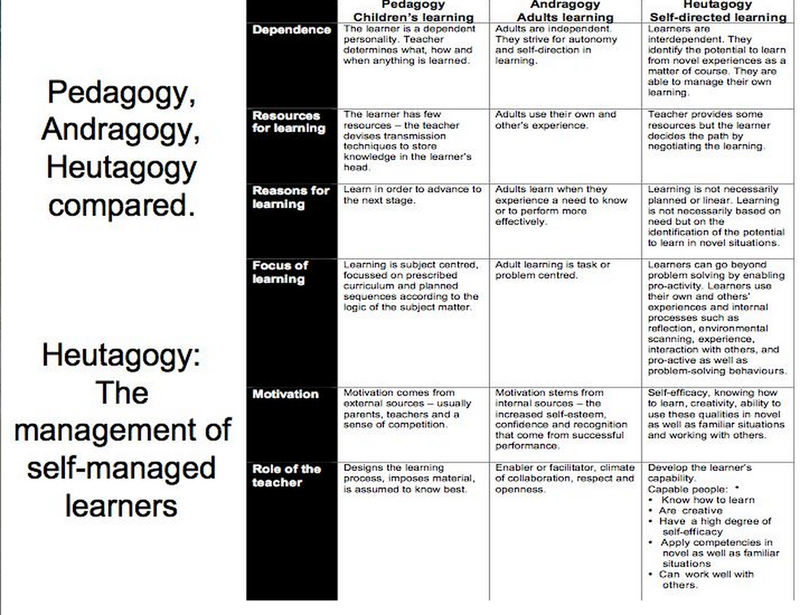 There are some key differences between the three approaches : pedagogy, andragogy, and heutagogy. the chart below compiled by Lindy Mckeown captures some of these nuances, check it out and share with us what you think of them. Check out the full graphic from this page.